being little • bristol uk fashion & lifestyle blog. : recovery. I'm currently recovering from my tonsillectomy at my Mum's house. As I'm sure you can imagine, I'll be good for nothing for a day or two, so please be patient while I sleep it off. I have lots of things to blog about while I'm laid up, so don't you worry! You'll feel better in no time! Especially with getting cuddles from your cat! 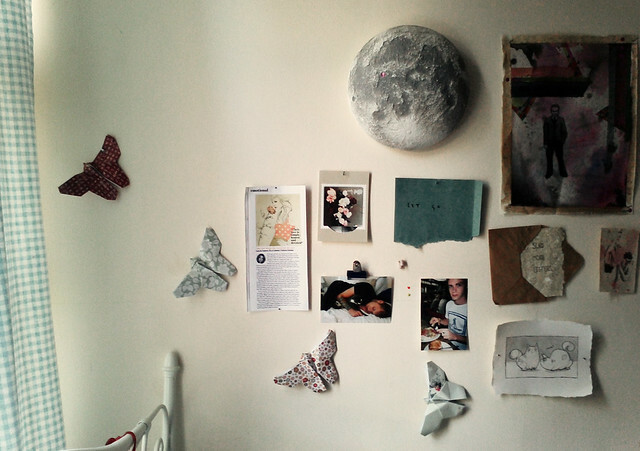 Your wall is just lovely! I love the paper butterfly! Cute! Hope you feel better. Just read through your last few posts and your blog is lovely. Wishing you a speedy recovery. Hugs! Hope you get better soon! Keep cuddling the cats! Hope you get better soon! I would recommend lots and lots of soup. Help everything! Glad your op went ok, hope you feel better sonon.